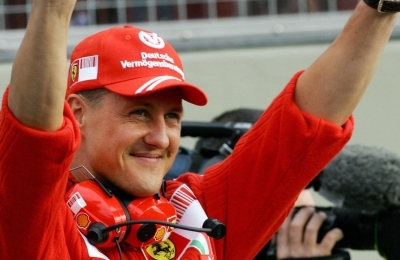 Michael Schumacher has pulled through from the coma which has kept him in a deep slumber since December last year. Sabine Kehm said: "Michael has left the CHU Grenoble to continue his long phase of rehabilitation. He is not in a coma anymore." Michael had been in an induced coma in Grenoble, France since a skiing accident on December 29 in the French Alps. Schumacher struck his head on a rock while skiing off-piste which left him with life threatening blood clots. The F1 legend underwent two operations only days after the accident to remove the clots, followed by inducing a coma to allow his brain to begin recovery. Near the end of January, drugs were gradually reduced in an attempt to bring him slowly out of the coma. Today is a great day for Schummy fans and we can only hope to see Schumacher up on his feet within the next year!